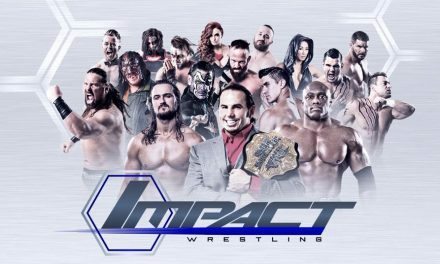 In a decision that is rather baffling Destination America decided against airing a new episode of Impact this week, in spite of there being an episode taped, edited and ready to go, instead opting to re-air Slammiversary 2014. However the rest of the world didn’t follow suit and as a result to the best of my knowledge this is the first ever episode of Impact not to air in the US. “The Pope” D’Angelo Dinero joined Josh Mathews on commentary for the show. He was perfectly fine. Final Thoughts: This was an extremely rare thing – a nonsense free Impact. This show was just guys and gals cutting promos and having matches buffered by video recaps of all the major stories. Was it a great show? Not even close. Should you watch it? Nope, outside of the opener. But it was a really refreshing change of pace from the usual fare, getting to see people who aren’t regularly featured on the show. Next week Impact returns in the US with May Mayhem, which includes match two in the Wolves/Aries and Roode Best of 5, Gail Kim vs. Taryn Terrell in a cage match with no build, Young vs. 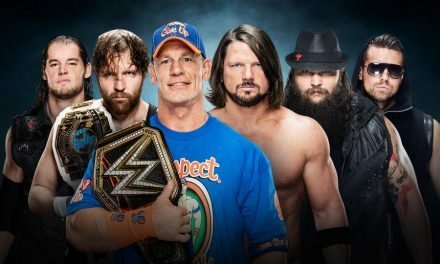 Angle for the World title in an I Quit match and an X-Division title Gauntlet match.